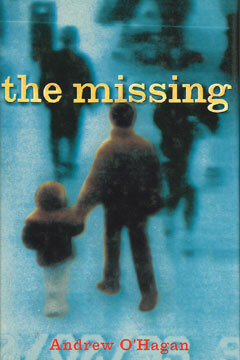 Hailed by the Times Literary Supplement as an “International Book of the Year” on its publication in Britain, The Missing is a fascinating literary meditation on missing persons by the acclaimed young Scottish writer Andrew O’Hagan. Writing with what one reviewer praised as “passion, eloquence, and honesty,” O’Hagan explores one of society’ most enduring, yet unexamined, concerns—missing persons. He writes movingly of his own grandfather, lost at sea during World War II; of Sandy Davidson, the three-year-old who disappeared from a construction site near O’Hagan’s childhood home; of James Bulger, the toddler abducted from a mall in Liverpool and murdered by two ten-year-olds in 1993; and the twelve young women Fred and Rosemary West murdered and buried in their Gloucester backyard over a period of nearly thirty years. In all of these cases, O’Hagan goes out with police and meets with social workers and families, always looking for the deeper truths so often left forgotten. What kind of lives did those who have gone missing lead? What made them disappear? What happens to those left behind? Merging social history, memoir, and reportage, The Missing is one of those rare books that bring a neglected corner of human experience into the public eye, and a memorable debut from an exceptionally perceptive and talented new writer. Andrew O’Hagan was born in Glasgow in 1968. A former editor at the London Review of Books, O’Hagan has written for The Guardian, Esquire, Harper’s, and Granta.